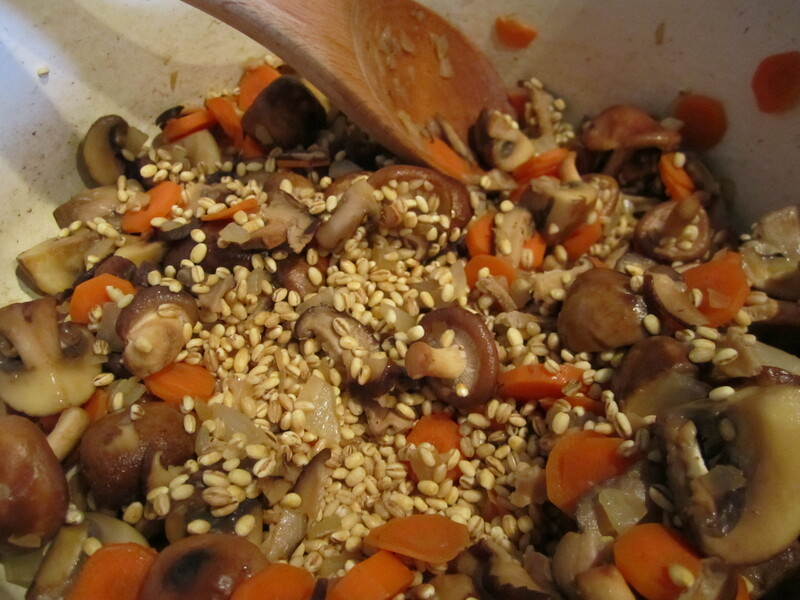 Browning the barley with mushrooms and carrots. Every year, about this time, I yearn for spring. My anticipation stems primarily from my love of baseball and being outdoors without having to wear a parka. I love spring because the world seems awash in color; bright green grass and trees basking in the sun, daffodils and crocuses popping up everywhere. Back to reality: it’s January in Colorado, which means it’s cold, gray and snowing. It’s the perfect weather to spend inside in the kitchen making something to warm your soul and wait out winter. This morning I was thinking about mushrooms. I love mushrooms because they smell like the earth. I can’t think of a more organic smell than mushrooms. I would eat sautéed mushrooms everyday if I didn’t think it was ridiculous. 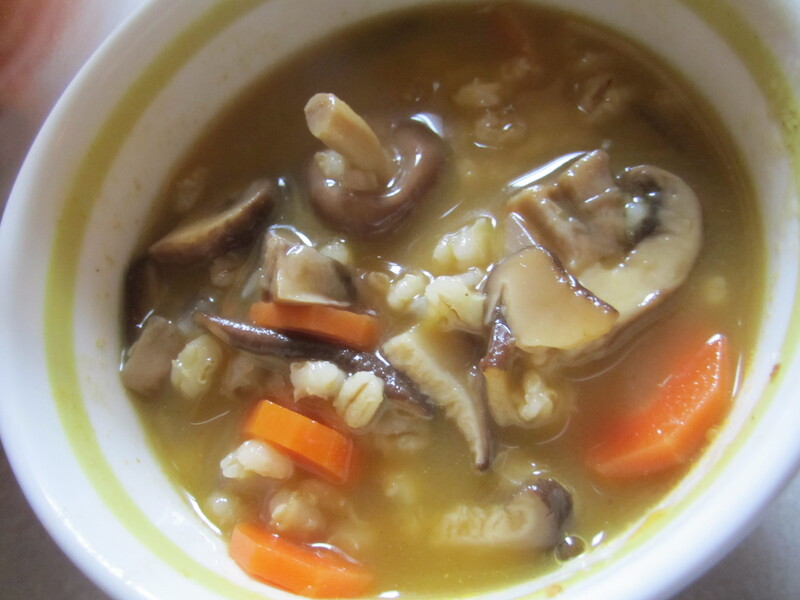 I came across Mark Bittman’s recipe for Mushroom and Barley Soup. It’s extremely easy – chop up your veggies, sauté the mushrooms and carrots together, then brown the barley, add broth and let it cook away. It tastes so hearty, that the only accompaniment you need with it is some good crusty bread…and I don’t even like bread. For this soup, I used about 12 ounces of mushrooms total (8 ounces baby portabella, 2 ounces fresh shiitake and roughly 2 ounces of rehydrated wild mushrooms). Bittman doesn’t call for onion in his mushroom soup, but I like the flavor. I chopped up half onion and sautéed it in 2 tablespoons of olive oil. I sautéed two sliced carrots and the (cleaned and quartered) mushrooms (including the rehydrated ones; squeeze out the liquid and save it). Add a cup of pearled barley and sauté until browns; it should have a nutty aroma. Then, add liquid. If you want vegetarian soup use 6 cups of vegetable broth and/or water. I had leftover chicken stock and purchased vegetable broth. Add a bay leaf and salt and pepper to the pot, and bring to a boil. I immediately put the soup into a slow cooker and let it simmer for about 20 minutes, until the barley soaked up the liquid and the grains split. Cooked barley looks somewhat like brown rice. 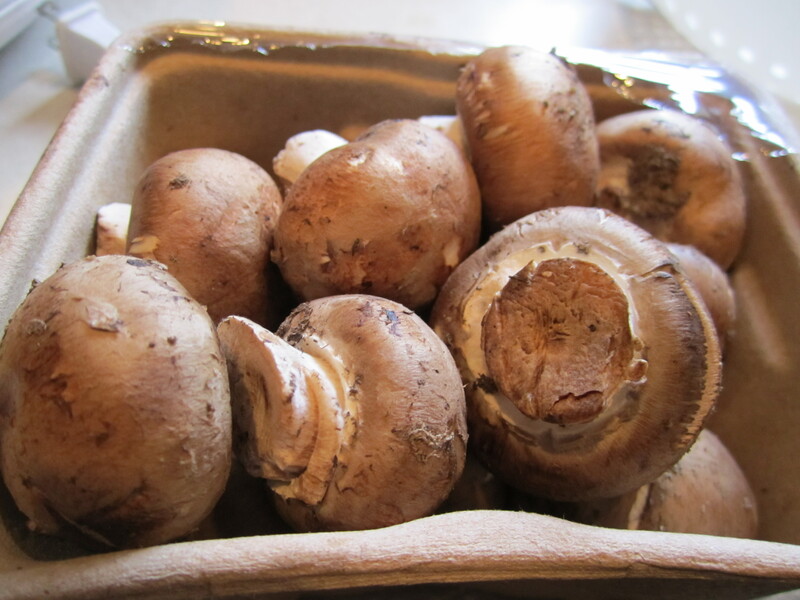 The soup is perfect for winter, but the earthiness of the mushrooms make me look forward to spring. If you have Mark Bittman’s “How to Cook Everything”, the recipe is on page 139. If you have the iPhone app, it’s listed under “Vegetable Soups”. I hope you have the opportunity to make this very easy and satisfying meal.